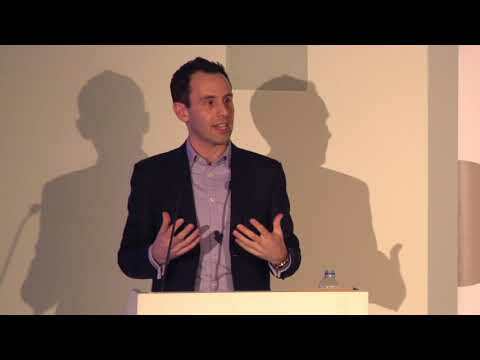 The UK local government sector has faced extraordinary financial challenges in recent years. The pressure to make further budget reductions remains intense. Many councils have made it this far by cutting back on their existing model of public service delivery – in some cases right to the bone. But what do they do when all the incremental cuts that can be made have been made? One potential avenue may be to ask if there is a completely different operating model for addressing a particular need. 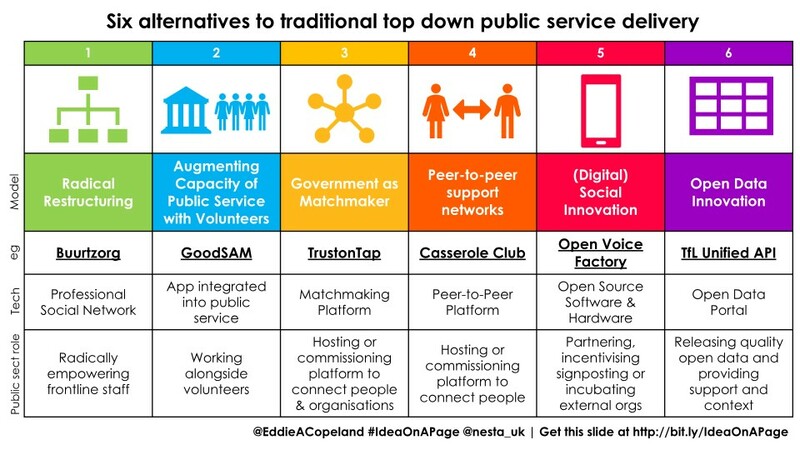 In this week’s #IdeaOnAPage (all available at: http://bit.ly/IdeaOnAPage) I’ve laid out six examples of alternatives to a traditional, top-down model of public service delivery, together with examples of where they are being tried and tested. Significantly, each model entails a slightly different role for the public sector – shifting from directly delivering a service to playing the role of matchmaker; incubating solutions by other organisations; or partnering with volunteers. I do not pretend that these approaches can simply be copied and pasted into any public service – nor that they are all proven to be effective. Rather, I hope these examples can provide useful inspiration for thinking more laterally and creatively about how a particular social need might be met. What other models inspire you? I’d welcome your ideas @EddieACopeland.